What kind of hens are they? They are brown hens! Sorry, joking apart, our hens are Lohmann Browns, which are like the thoroughbred of the hen world. They’re friendly, hard-working hens who lay great eggs with nice thick shells. I’ve tried a few breeds over time and as they say ‘every hen has it’s day’. 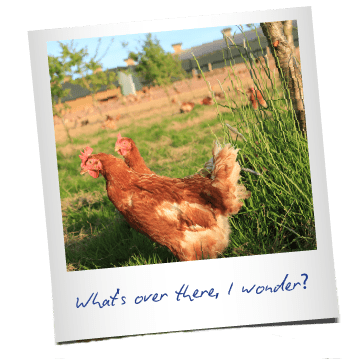 How are the hens kept? 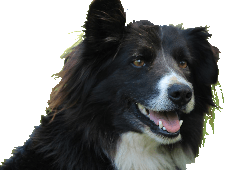 They are free to roam around the farm and they have plenty of space — 70 acres in fact — but they spend their nights in large insulated barns, which keep them cool in summer and warm in winter. There are nest boxes within the sheds where the hens lay their eggs. In the mornings, after they’ve laid their eggs, they trundle off down to the scratch area, which is about 40% of the total area. There they do what hens naturally do, like scratch, dust bathe and interact with each other. They then have the choice as to whether they go out for a look around or stay in and peck a bale. 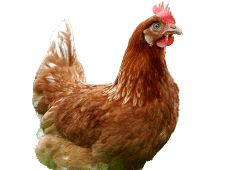 Hens are naturally curious and to keep them happy and healthy you need to keep them occupied. We use some unusual things, such as footballs and haynets, to do that. But, to be honest, I believe getting the basics absolutely right is crucial to having contented hens laying really good eggs. I’ve heard that they just stay inside, how do you encourage them out? It’s all about getting the confidence of the hen. A hen is a naturally short-sighted animal so they tend not be able to see that far in front of them. They need lots of little objects that they can go to, this makes them feel secure and then once they’re happy they can go on again. 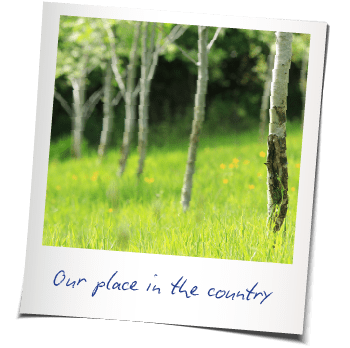 We’ve planted trees to give them cover and erected man-made shelters that can be easily reached if a natural predator, say a buzzard, flies over. Once they get used to going out and feeling secure then they do go out and wander quite a lot. Although one thing they’re not keen on is wind, but then again who is! 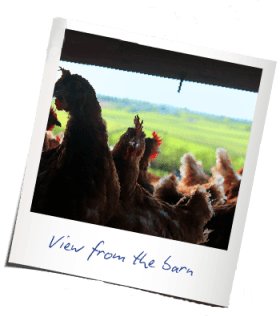 The hens eat wheat, soya and limestone with vitamins and minerals. Obviously when they go outside they scratch around to find other natural treats such as bugs, leaves and seeds. 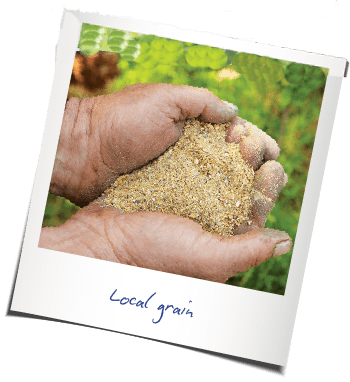 All our food comes from a local mill in Crediton, they use local farms for the crops, including ours. 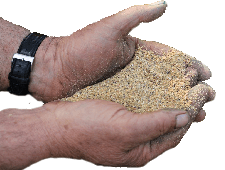 We grow wheat on the farm and we send it to them to be included in our hen feed. I have a priceless relationship with the guys from the mill, which started from my college days. I give them feedback on how well the hens are doing and they keep me abreast of any new thinking. 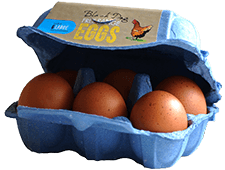 Our freshly laid eggs are picked and packed every day. They’re also sorted into their different sizes and checked for quality before leaving the farm. 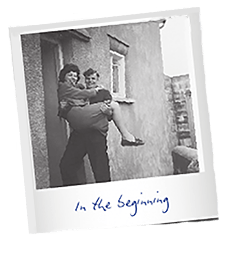 We deliver them straight to our customers without much fuss and bother. How do you keep the eggs healthy? For a start, keeping the hens healthy is crucial. We know that bright-eyed and bushy-tailed hens lay hearty, healthy eggs. We run a tight ship. 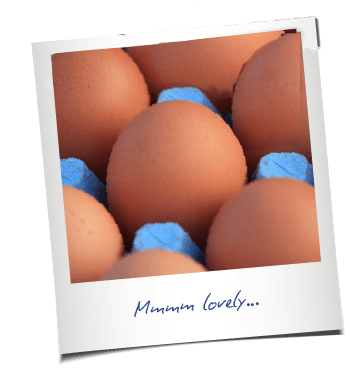 Our farm has very high standards of hygiene and our hens are closely monitored and vaccinated against salmonella. Will I ever get a double yolker? Well of course! If you’re really lucky you might even get two or three. It’s a bit of a Brucey bonus if you get a double yolker! What sizes and quantities can I buy your eggs in? We’ve got medium, large and very large sized eggs. They can be packed into either 30-egg trays for catering use and 6-egg or 10-egg boxes for resale. Just let us know what you need and we can put together an individual order. Large eggs are the most popular, probably because you get a lot of egg to have with your soldiers. 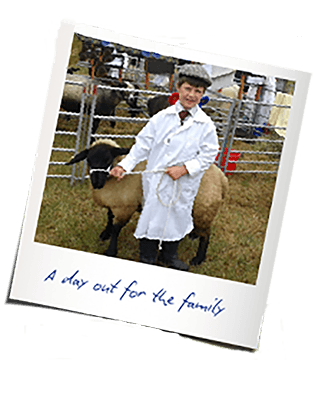 Your farm is a family affair, why’s that important? Well, we’re not a 5-minute wonder, my dad Merv started the farm 50 years ago. I started working with him after I left college to help grow the farm and my sister Lou has now joined us too. We rely and trust each other 110% and when someone says they’re going to do something we know it will get done. 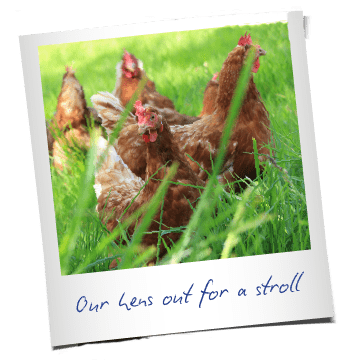 We don’t have shareholders to keep happy, just the hens! What other animals/crops are on the farm? As well as the hens we have a flock of sheep and a herd of ruby red cattle. We like to show the cattle and, not wanting to blow my own trumpet, we’ve had some success. We also grow wheat, which we send off to the local mill to be made into our hen food. Well, you can define success in a lot of ways. 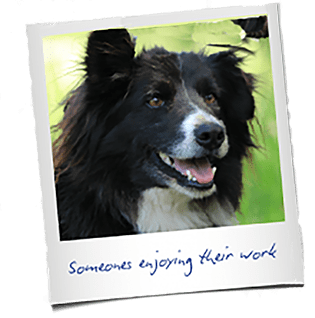 For some people it will be making lots of money, but success for me is about being proud of what you do and wanting people to enjoy the fruits of our labour. What sums up your approach? Well we’re farming through and through. 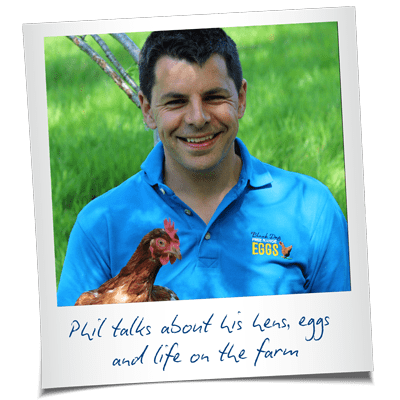 We don’t sit in an office, we get our hands dirty, we care passionately about what we do and we’re right up there technically too, for producing great eggs from happy healthy hens.